Are you looking for place to share your talents and gifts in our Church Liturgy? Do you love to sing but hold back because no one around you is singing? Are you looking for a ministry your whole family can join in on? If so, our Ministry Music is the place to be! We offer something from 5 yr olds to teens and adults of all ages. Take a look at what you can do to serve your church through a ministry of joy and praise! A group of men and women – ages 14 and up who would be interested in singing acappella, classical, and chant styles of music. Ability to read music is helpful but not necessary. They will sing at two Masses per month at either the 9:00 or 11:00 Masses. Rehearsals will be on Tuesday evenings at the church. 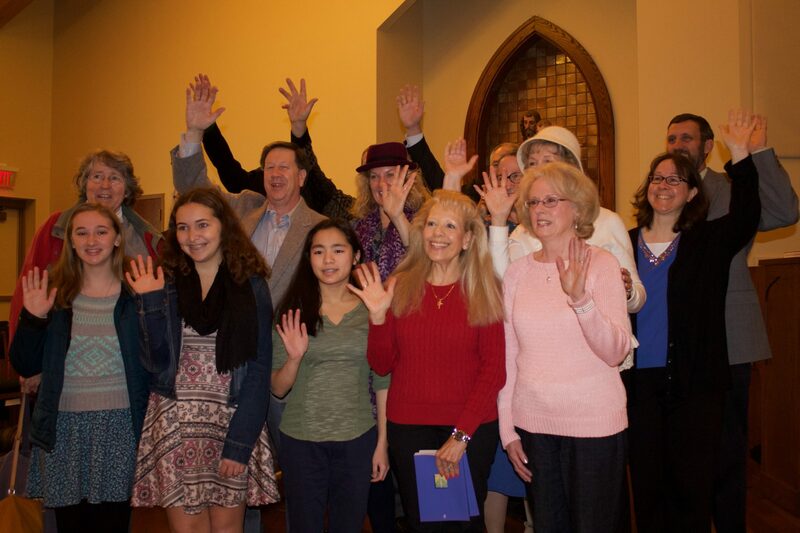 A group of parishioners – ages 12 and up who would be dedicated to singing many styles of music as done by the adult choir of previous years. Ability to read music is helpful but not necessary. They will sing at 2 Masses per month at the 11:00 Mass. Rehearsals will be Wednesday evenings. A group of parishioners interested in singing or playing instruments (guitar, keyboard, percussion, or woodwind) for the contemporary worship Mass. Ability to read music is helpful but not necessary. They will sing once a month at the 5:00 PM Mass. Rehearsals will be Thursday evenings. Rehearses every Tuesday evening from 7:30-8:15 p.m. This group is for ages 9 and up and requires good reading skills. This group sings at the Noon Mass on a monthly basis including hymns Mass parts and special music. * Community Service credits can be earned. A group of students – ages 7 – 13 interested in singing with their peers. They will sing once a month at the 5:00 PM Mass. They will rehearse on Thursday evenings. Parishioners who have some experience in singing alone who are willing to lead the response and alleluia verses as well as lead the congregation in hymn. Express your interest and we will be in touch for opportunities to audition.